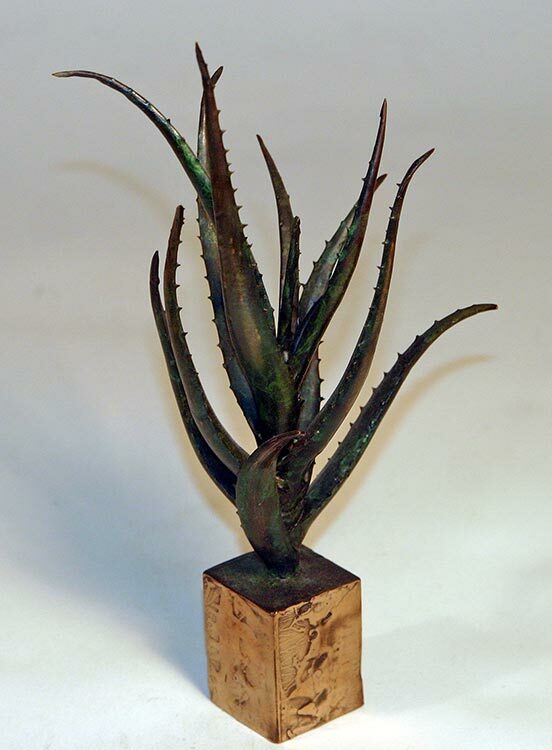 Aloe spinosissima: Final sculpture with first patina. 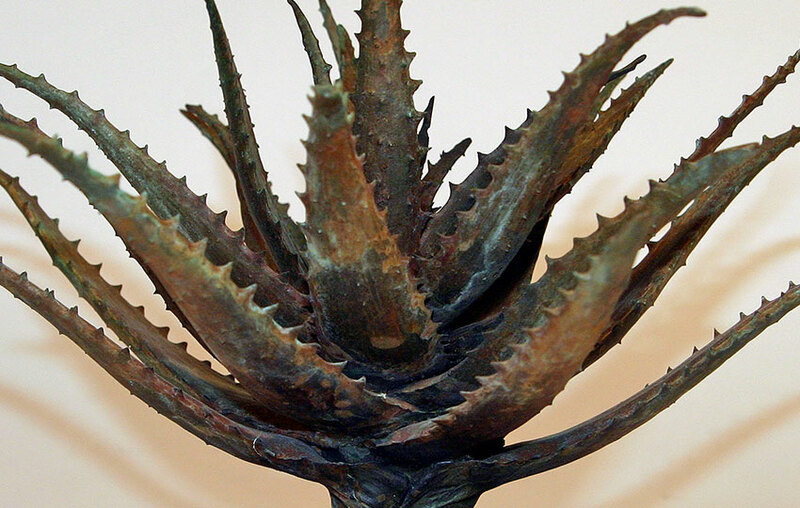 Aloe spinosissima: Detail of final sculpture with first patina. 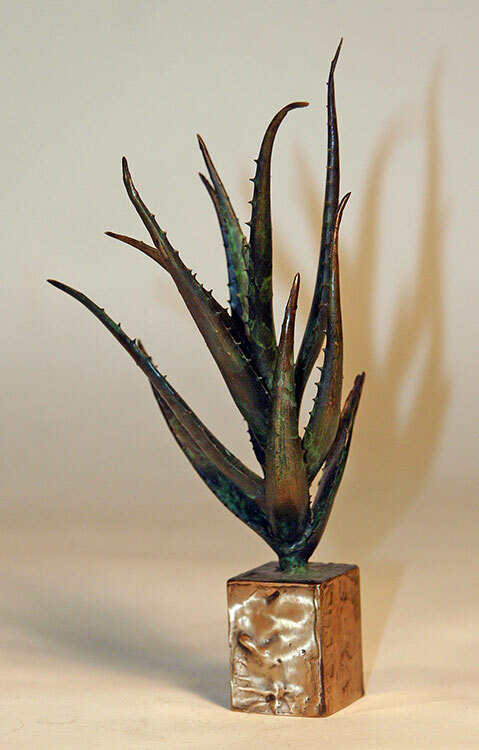 Aloe spinosissima: Final sculpture with second patina. 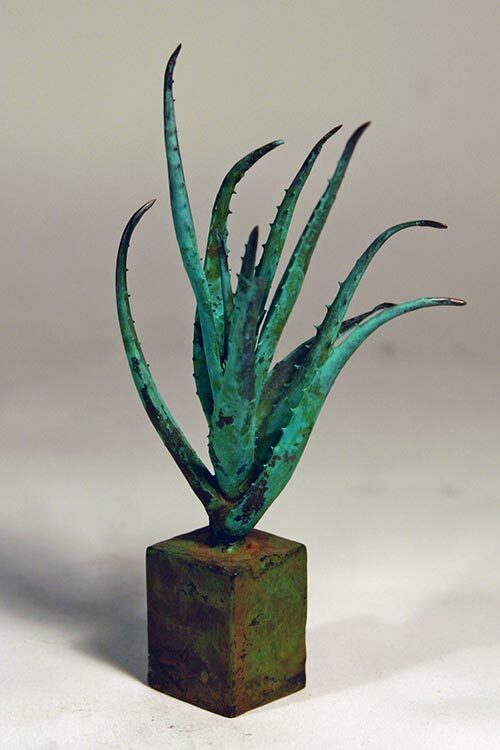 Aloe spinosissima: Detail of final sculpture with second patina. 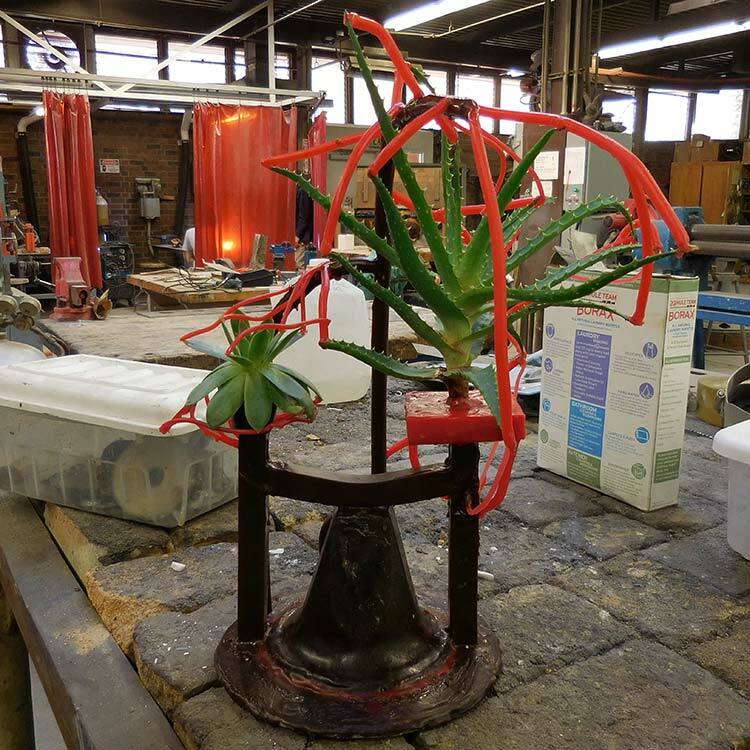 Aloe Hybrid: Gating system for organic burnout. 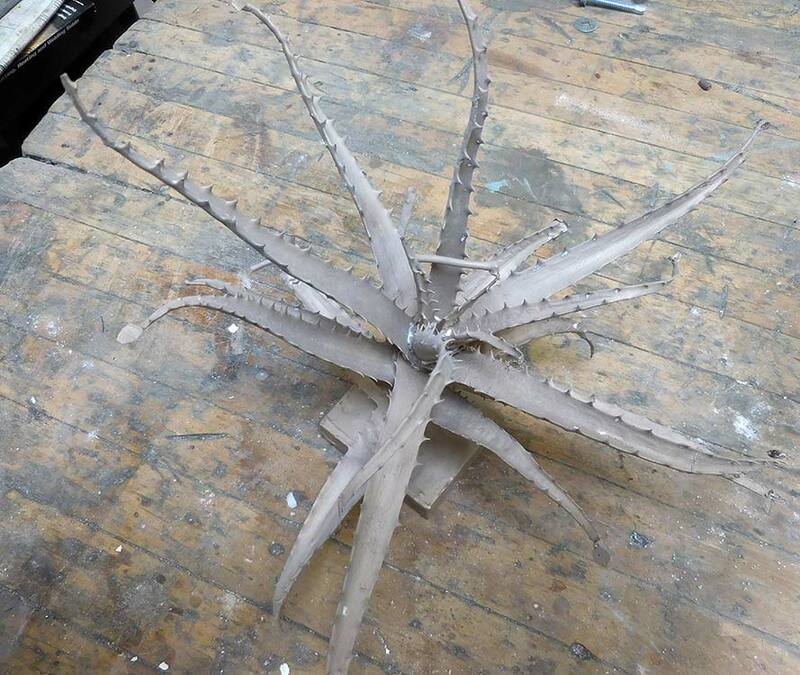 Aloe Hybrid: Sandblasted sculpture before cleanup. 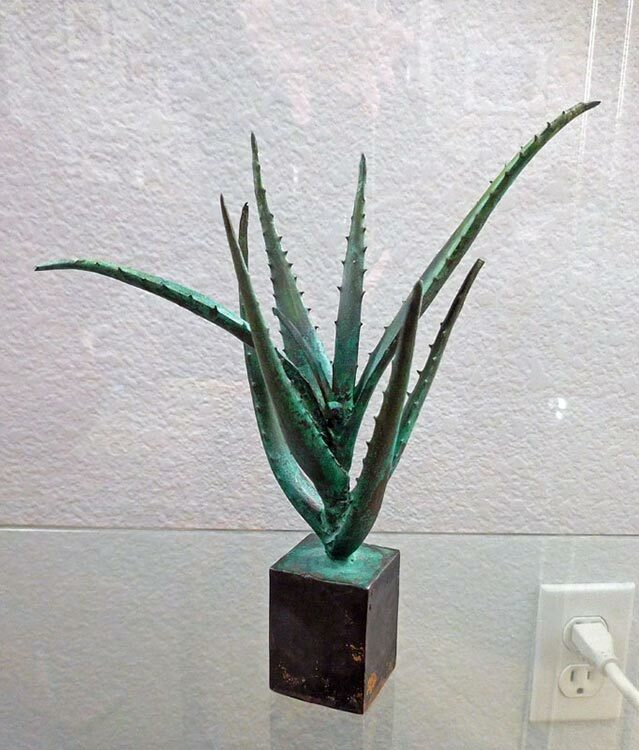 Aloe Hybrid: Final sculpture with patina. 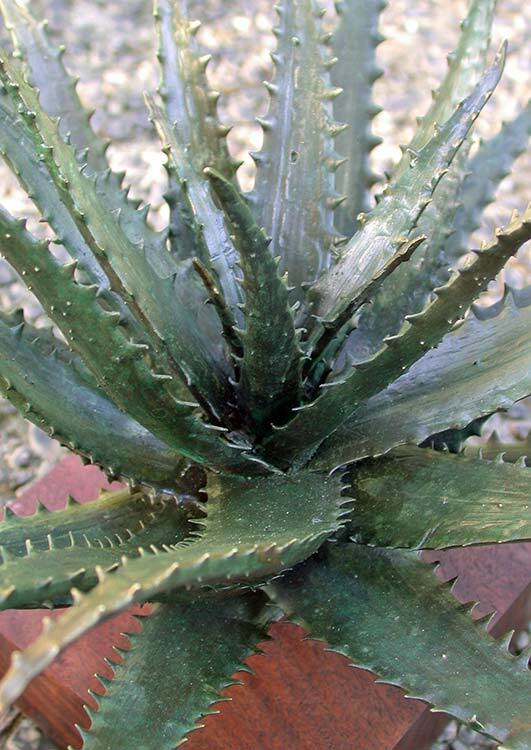 Aloe Hybrid: Blue Elf variety with test patina. Cast bronze with black and green patinas. Walnut base. About ten inches in diameter. 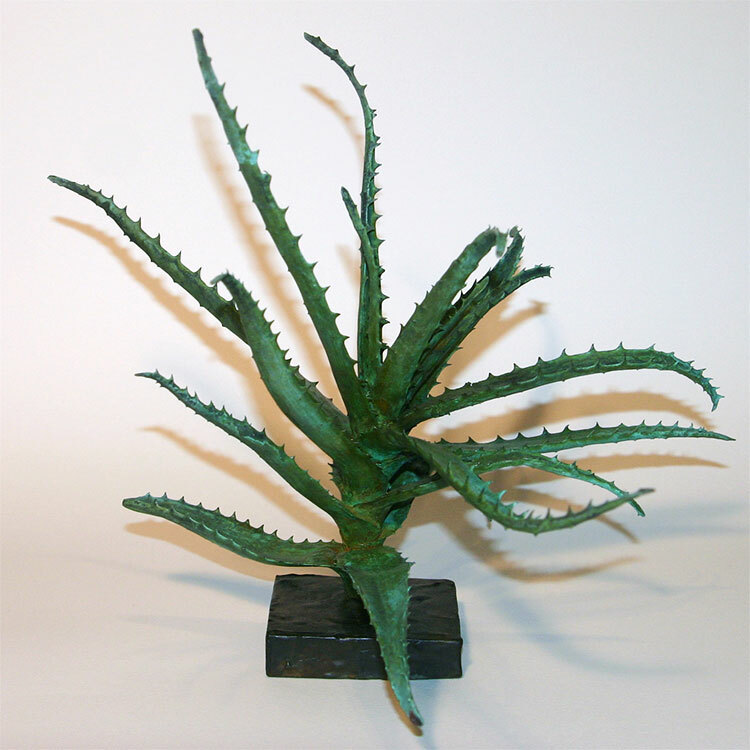 Unique piece from direct burnout of Aloe x spinosissima plant. Cast bronze with a variety of experimental finishes. Bronze base. About eleven inches tall with bronze base. 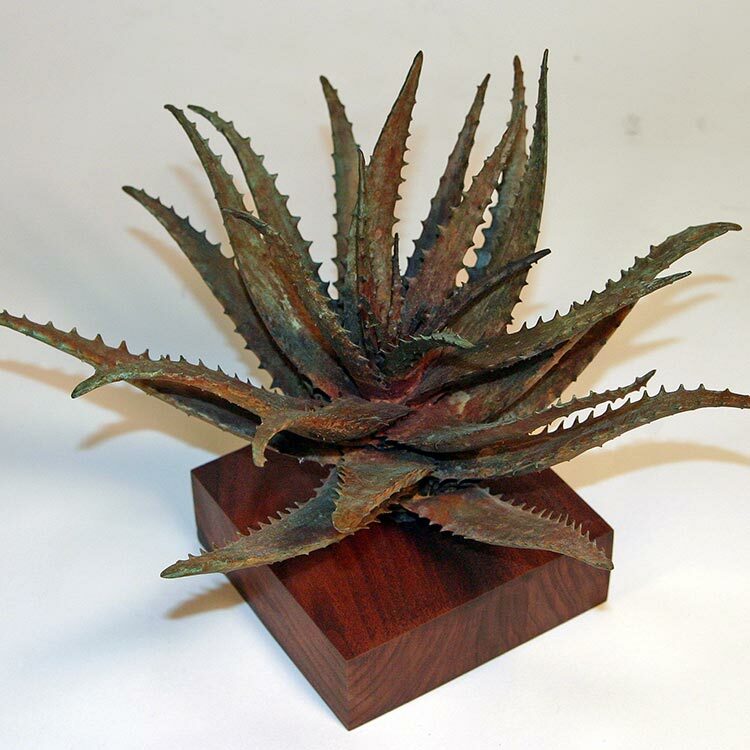 Unique pieces from direct burnout of Aloe hybrid plant. About eight inches tall with bronze base. 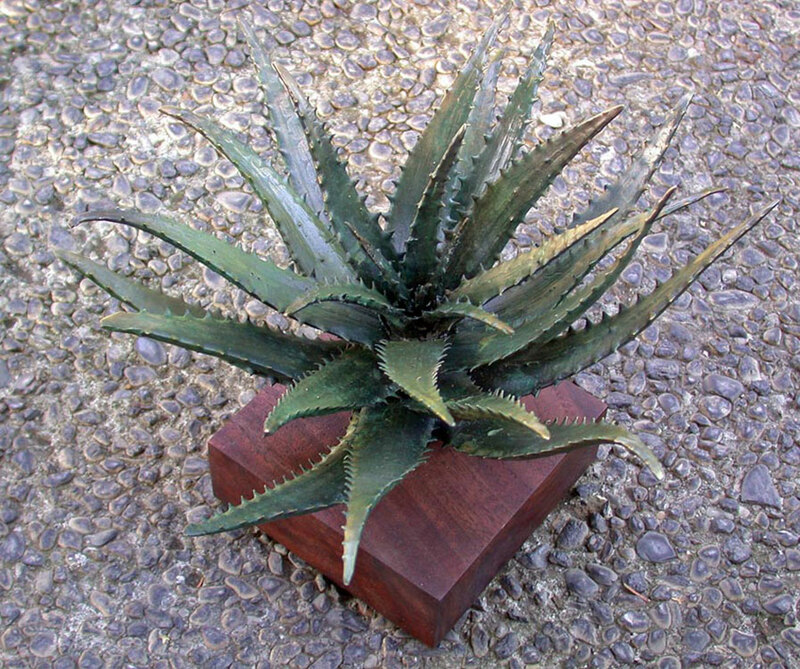 Unique pieces from direct burnout of Aloe Blue Elf hybrid plants.